In July 2014, Bill Gates named Business Adventures (1966) by John Brooks as his favourite business book. It happened to be Warren Buffett’s favourite as well. (In fact, Gates said Buffett had recommended it to him and lent him his copy because the book had gone out of print.) Not only did this nugget of information spawn a series of news articles—on Gates, on Buffett, on business, and everything between them—it also spiked the sale of Business Adventures in second-hand books stores, and prompted a reprint of the book, as well as an ebook version, by its original publisher Open Road. The book made it to the bestseller’s list on Amazon.com, ahead of hit fiction thrillers Gone Girl (by Gillian Flynn) and The Goldfinch (by Donna Tartt), and that summer’s non-fiction biggie Capital in the Twenty-First Century (by Thomas Piketty). Such is the power of the world’s richest man dropping the name of an out-of-print book that inspired him. But what is it that makes a good business book? Every year, we see a slew of titles making their way to the bestseller’s shelves in bookstores, and articles listing the ones that you must get your hands on. But what will one book give you that another will not? Then there is this pattern of what is hailed as the next big thing in the world of business publications in one year, only to be forgotten by the following year. How do you know what to read, in that context? 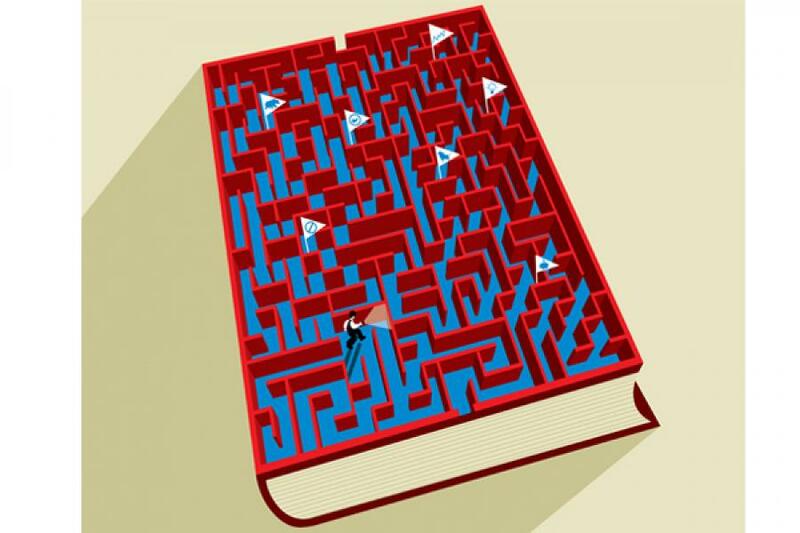 Publishers of business books Forbes India spoke to have figured out, obviously, what to look for when they decide on a certain subject or author. “A book that has relevance,” says Dibakar Ghosh, senior commissioning editor at Rupa Publications. This relevance might be in the form of a company that is being written about, or a subject. “Of the four things that we would look for,” says Debasri Rakshit, commissioning editor at HarperCollins, “three are: The idea of the book; whether it has something to do with something new in the workspace; and the third is a company that is of interest at the moment.” The fourth variety, she says, are those that tell readers how to negotiate their way in their workplaces and become more successful. The “idea”, for instance, could be to do with startups, adds Rakshit— something that is currently on the minds of a lot of people. “Books on entrepreneurs and startups are doing very well,” she says. “Today, young people have the opportunity to change jobs; they are ambitious.” The fact that there are thousands of students graduating from engineering and management colleges creates this constant pool of young readers who are looking for inspiration and new-age role models. Researching and writing about companies today, says Rakshit, is easier than what it used to be. One of the primary reasons for this is the increased transparency in their functioning, and a willingness to share details about themselves. 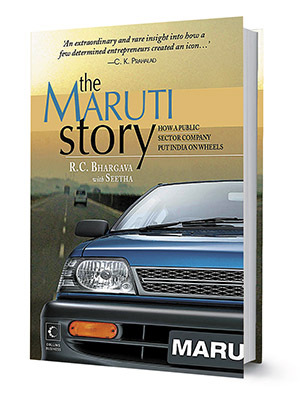 Two of HarperCollins’s successes in this category are The Maruti Story (2010) by RC Bhargava (chairman of Maruti Suzuki) with Seetha, and The Z Factor (2016), the autobiography of Subhash Chandra, founder and chairman of Zee Media. This could explain why books such as Zero to One: Note on Startups, or How to Build the Future by Peter Thiel with Blake Masters and Stay Hungry Stay Foolish by Rashmi Bansal topped the list of business and management books on Amazon.in in 2015, according to data sourced from Amazon India. But how would it explain the presence of Who Moved My Cheese? by Spencer Johnson on the same list? The book, first published in 1998, has sold more than 26 million copies in 37 languages. This is perhaps where the difference between a good book and a bestseller must be considered. In his Financial Times (FT) column, John Kay (one of the leading economists in the UK, visiting professor at the London School of Economics and the author of many books), says that though Who Moved My Cheese? is a bestseller, “it is a bad book. Its vocabulary and style are appropriate to junior school students.” He adds that since its author used metaphors, he did not need to “justify his thesis or anticipate objection to it”. This category of books, often on the list of bestsellers, is perhaps what Arvind Sahay (professor of marketing and international business at the Indian Institute of Management, Ahmedabad) calls “conversational books”. Sahay includes authors Malcolm Gladwell and Martin Lindstrom in this category. “These books, while based on some good research, are partly speculative and tend to stretch the research findings,” he says. “Readers get curious about the tall claims that are made in such books.” The claims, he adds, tend to make these books more popular; they, however, can provide conversation points at cocktail parties, though not always any real depth in terms of insight or information. The second category, says Sahay, is of books based on equally deep research, but the research has been “interpreted” and presented for the reader (such as Daniel Kahneman’s Thinking, Fast and Slow) and tend to be easier reads. These books can make it to the list of bestsellers, as well as to that of classics. 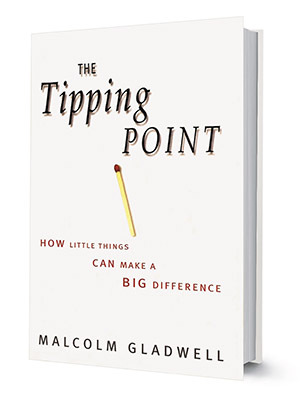 The third category is what Sahay calls “popular” books, such as Gladwell’s The Tipping Point, Blink, and Outliers and Lindstrom’s Buyology. Sahay’s last bracket would include books based on personal experiences, such as Nandan Nilekani’s Imagining India: The Idea of a Nation Renewed, and Richard Branson’s Losing My Virginity. “These are in the nature of stories and resonate well since humans are hardwired to relate to stories,” he says. This point resonates in what Subroto Bagchi, co-founder of IT services firm Mindtree, believes a good book on business should be: Accessible. “It should make the subject accessible to the readers, not by talking down to them but by respecting them and by holding up something in a way that is not sophisticated; to make people feel that they are a part of the conversation, as against holding up something from a pedestal.” Business writers, he adds, tend to write lofty stuff; it is important to say things that people can take and run with, as opposed to be supremely impressed with. The ability to humanise business choices and business issues is critical. “So that it is no longer an abstract thing. If you can see things in images, then people can remember them better,” he says. Kay, in his FT column, makes his pick of “good” business books: The Concept of the Corporation by Peter Drucker, Strategy and Structure by Alfred Chandler, and My Years with General Motors by Alfred Sloan. That all the three books are about General Motors (GM)—written with three different approaches—is “not surprising. The rise of the modern, professionally managed corporation, of which GM was a defining example, was the most important management phenomenon of the 20th century,” he writes. 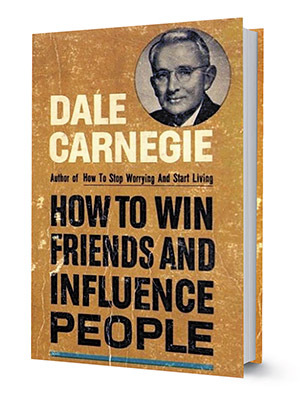 And, in sharp contrast to Who Moved My Cheese?, Kay mentions Dale Carnegie’s How to Win Friends and Influence People as a “good” book. Based on sound psychological research, the 1936 book is a how-to-do-it that has sold more than 30 million copies. No surprise that it tops Amazon.in’s list of all-time bestselling books in the business and management category even now. Gates went on to say that “many of the particulars of business have changed. But the fundamentals have not”, making Brooks’s insights relevant through the decades. “John Brooks’s work is really about human nature, which is why it has stood the test of time,” he said. 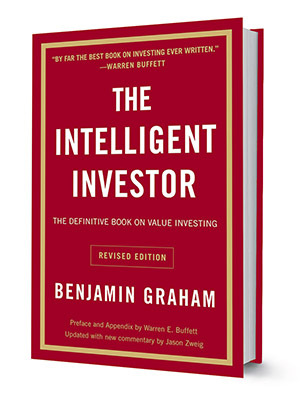 This “longevity” is what makes The Intelligent Investor (1949) by Benjamin Graham another favourite of Gates and Buffett. Naren, however, admits that although the total amount of time he spends on reading has gone up—“You can now carry so many books in a single device like a tablet, rather than carry individual books”—the amount of time he spends on books alone has actually come down. 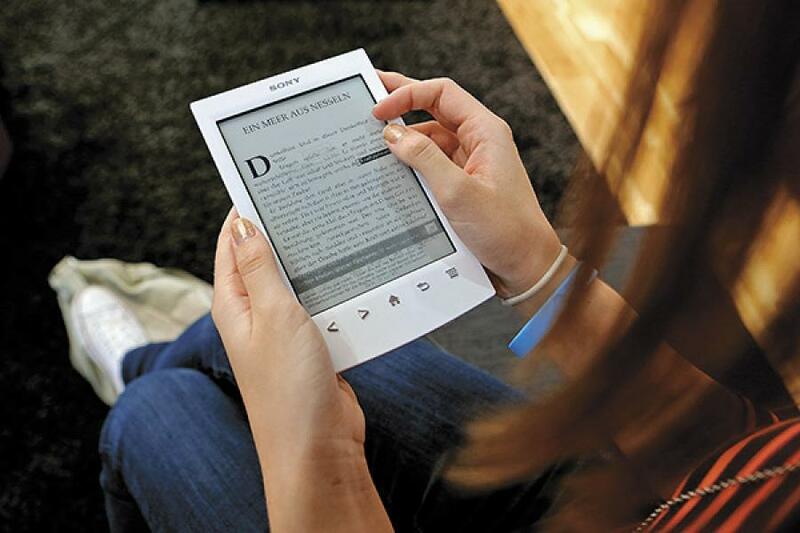 According to Amazon India, the owner of a reading device downloads an average of 55 books (paid and free) per year; the total sales of ebooks (paid and free) as a percentage of physical books grew from 56 in January 2015 to 86 in December 2015. The crunching of reading time could be a result of “information overload”, points out Bagchi. “When you look for a certain kind of book, you see hundreds of titles, and ultimately you will not read anything. The visual medium is exploding, choices are exploding, and attention deficiency is exploding,” he says, referring to digital platforms and channels that have developed as a profuse source of information in recent times. But this is also true: Physical books provide readers with a reflective space that no other medium can. The fact that books allow you to pause and absorb what you have read is what makes them matter. “You can go out there and collect all kinds of information, but what are you absorbing?” asks Bagchi. That information and insights are now available in different (digital) formats is also indicative of the fact that the “life cycle of knowledge” is not as long as it used to be, says Rajesh Srivastava, who, along with having a successful corporate career over a span of three decades, is visiting faculty at Indian Institute of Management, Indore. Srivastava says that, traditionally, business books were written by university professors, but that is no longer the case. “Universities were the custodians of knowledge,” he says. “That has now changed: Companies are the modern-day custodians of business knowledge. Universities have failed to evolve as fast and keep up with the changes in business.” He gives examples such as Starbucks, which epitomises marketing; Amazon, which embodies retailing; and Tesla, which pushes the future of technology. “If you are reading a book, in some ways you are already behind the times,” says Sahay, adding that the book’s subject matter might already be conventional wisdom among more informed readers. Sahay cites Kahneman’s example and says that Thinking, Fast and Slow is a distillation and compilation of 45 years of knowledge-gathering, with the first paper appearing in 1971. But those decades of insights are perhaps the reason why books written decades ago are still flying off the shelves, whether real or virtual.